BigCommerce has 28% annual growth, quite an impressive figure, in compared to the average in the industry. It also has less cost because of no hosting, maintenance or update expenses. With its upsides. 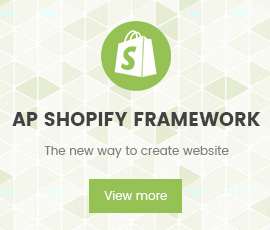 More and more shops are choosing BigCommerce as their platform. But unfortunately, a platform only is not enough to run your site. Theoretically, it is. But to make your site beautiful and user-friendly, you need to install additional themes. Latest platform by BigCommerce, named Stencil, accept only new templates that are built on this Stencil framework. Means that old templates that are built on Blueprint now go wasted. And BigCommerce’s paid templates are from $145 to $235, for decent-looking templates, you have to pay at least 170$ or 195$ for each. This is incredibly expensive. Not to mention that they only have a limited quantity of template designs that never satisfy the customers. The solution is no other than choosing a third-party template. Apollotheme is one highly recommended one with excellent quality, various designs, superior customer support system. You don’t even need to pay for support, even if you use their Free themes. Keeping in mind a desire to help others and makes web design easy for everyone, they are willing to help all the time. Their paid templates has equally good quality to BigCommerce’s default templates and is much less pricey: only $56! That’s why everybody is anticipating for Apollotheme’s BigCommerce templates released. But that’s not all. The Great Big News in this article is: The Ap Office BigCommerce Theme by Apollotheme – also known as the Best-rated Theme, rated by millions of users and specialists, is now available for free! This is a step of Apollotheme to introduce their new templates and to show gratitude to their loyal customers that have been supporting their products and brands for 15 years. Ap Office BigCommerce theme, as other BigCommerce theme by Apollotheme, is fully responsive, has its own design and layout structure for each device like smartphone, tablet and desktop. Making your site mobile-friendly is a must in this digital era where people surf the web mostly on their phones. Ap Office BigCommerce has a user-friendly, simple, and clean interface, yet productive and fully functional. With various modules like multi-language, multi-currency, your website can well adapted with users from all over the world. Megamenu of your choice features not only text and links but also images and videos. Slideshows and high-resolution banners will present all of your awesome images and promotions, to impress your customers first time they visit your store. Not to mention this theme integrated adequately with social networks modules like Twitter, Facebook, Instagram… Connecting and updating is now easier than ever! Theme editing is also not a big deal, you have full power to it without a single minute of coding or HTML/CSS, thanks to the theme editor. All of this is possible by technologies like Foundation, SCSS, CSS3, HTML5, Handlebars.js, YAML. Try Ap Office BigCommerce Theme now, do not miss this opportunity before it’s over! How to edit Featured Products on your Prestashop homepageWhy do people shop on mobile?